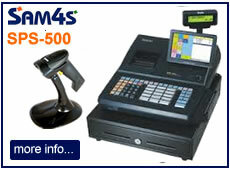 We supply Point of Sale (POS) systems for supermarkets. Whether you run a small independent supermarket or operate a chain of supermarkets, we have a number of different epos systems to suit various supermarket business requirements and budgets. 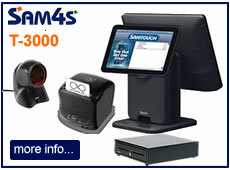 Our best EPoS solutions for supermarkets include all the components you require to setup and operate your business including receipt printer, barcode scanner, cash drawer and EPoS application software are all included. 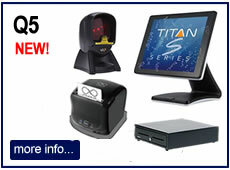 Optionally add weighing scale, mobile portable scanner, dallas keys or external A4 document printer. We can setup your products structure for groceries, tobacco, soft drinks, household items, confectionery, stationery and all other items that you sell as well as registering Payzone and Paypoint transactions. We also offer remote training as well as on-site installation / training all over the UK as part of our service package. Our till systems for supermarkets offer a wide range of features suited to the different types of supermarket businesses. Please note that not all features are available on all our systems - check the specification of your intended system if you require a particular feature. To recognise a barcode, it would need to be pre-programmed onto the system with associated product information such as Description, Price, Tax Rate, Department, Minimum Stock Level, Cost Price, Supplier and so on. For some types of business (eg. convenience stores, supermarkets, supermarkets) we can offer a preloaded products database with the most popular barcodes already set up. If your manufacturers or suppliers can provide a spreadsheet of product details, we can also offer a data import and conversion service to preload the products onto your Epos System. 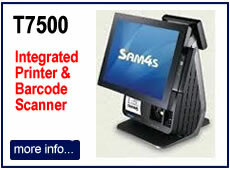 New barcoded products can be set up on the system as and when required. With our advanced supermarket epos systems, it is possible to program in special deals, promotions and other discounts for automated price calculation. It also allows for mix and match offers such as "Buy 1 get 1 free", or "Buy 3 for £5" and "Buy any sandwich, crisps and drink for £5" type of offers.